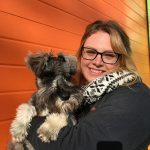 I hold a professional qualification from the Academy of Dog Training & Behaviour (ADTB) and have completed courses in both Dog on Dog Aggression with the Cambridge Institute of Dog Behaviour & Training (CIDBT) and First Aid for Dogs with Animal Aiders. I am a lifelong dog addict and I am currently owned by a beautiful lab/GSD cross rescue dog called Tilly. It has been a passion and ambition of mine to work with dogs, so by realising an opportunity the concept of The Waggy Dog Crèche was born. Throughout my previous employment I struggled as it wasn’t much fun and it’s not what I wanted to do for the rest of my life. I never thought I would have an opportunity to work with animals until now. I have recently taken a step up within the company to be Creche Supervisor! I couldn’t have turned an opportunity like this down and I’m so happy to be part of the team! 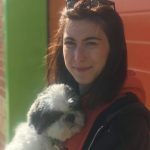 I have always wanted to work with animals for as long as I can remember, at the age of 5 I dreamed of becoming a vet or a veterinary nurse and would insist that we should cross the road to see any dog! My son is exactly the same! 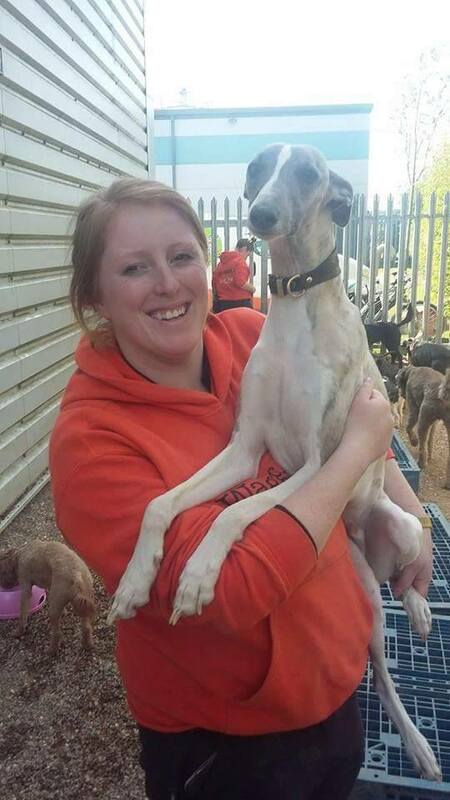 I was fortunate enough to become a volunteer at the newly created Waggy Dog Creche in March 2014 which I am now very proud to now be an employee of. 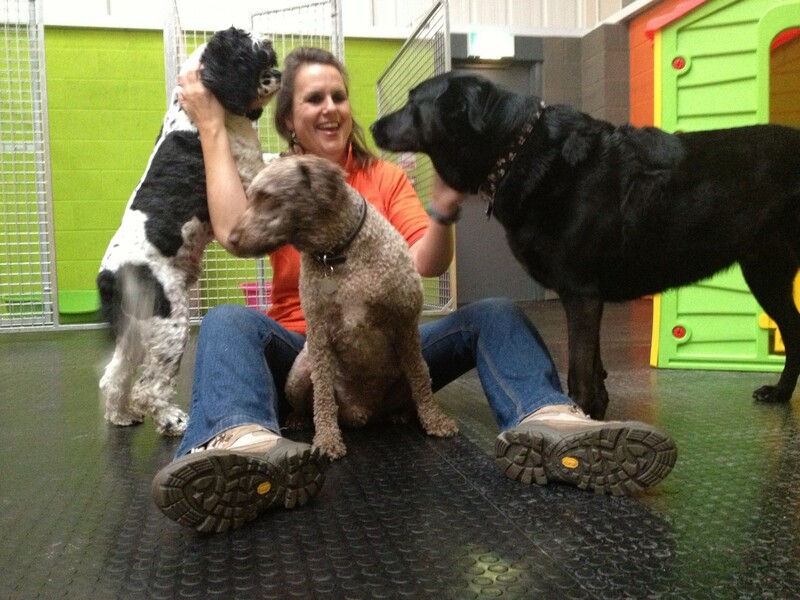 I have the opportunity of working with a set of amazing colleagues and the best bunch of lovely doggies! I am extremely lucky to be able to say I love my job. 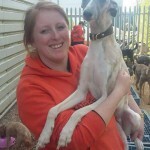 I have a young Whippet called Wilf (Wilfred when he is cheeky!) And also a Bengal Cross called Ra. In my spare time apart from spending time with my family I like to read, cook and go on as many adventures as possible. 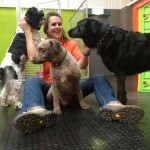 I have always loved animals from a young age, and so working with all the dogs at the crèche is a dream come true! I started out as a volunteer here at the crèche back in 2014 when I completed my year 10 work placement and loved it so much that I came to help out whenever I could. Since then i have completed my Level 3 extended Diploma in Animal Management. While working with all the dogs at the crèche, I managed to persuade my parents to let me have a dog for myself and now I have a re-homed springer spaniel called Jess. I love working here at the crèche and couldn’t be happier working alongside my fellow waggettes! From a young age I have always known I wanted to work with animals. I spend all my spare time helping out at the stables I have riding lessons at. I’ve always had pets and currently have a budgie, 2 Guinea pigs, a greyhound and a sprocker spaniel! 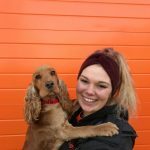 I first came to the Waggy Dog Creche in 2017 as a work placement and have continued to volunteer since and I have loved every second of it! 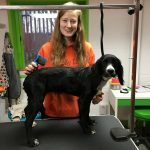 I completed my level 3 extended diploma in animal management at Askham Bryan College where I discovered my love for dog grooming! I have since completed a City in Guilds grooming qualification and canine first aid. The love for animals runs through my family so I naturally gravitated towards them growing up. My love for dogs started at a very young age, I remember at the age of 4 walking a big burley Labrador with my grandad and ever since then I’ve been hooked. As soon as I left school I knew what I wanted to do so I enrolled on to an Animal Care course to then go on to do Animal Management and I loved every second of it! I never thought I would be lucky enough to have a job that I genuinely love! I love working at the crèche because I get to spend some much time with so many different dogs but also my fellow Waggettes! They’re a hoot! I’ve always known I wanted to work with animals and have volunteered with rescue dogs for a number of years. In 2018 I was lucky enough to stay on at the creche as seasonal work after completing my work placement with them, and am happy to say I get to work with the loveliest bunch of colleagues and doggies. Dogs have always been a massive part of my life and I currently have a Rhodesian ridgeback cross staffie called shaxx, who I spend all my time with, doing agility and going on adventures. It’s always been an ambition of mine to get to work with dogs, so I am lucky to say I love working at the creche with the waggettes !